It was long back in the history of mankind. Some super smart ancestor of ours, though a caveman (or woman), discovered that meat can be grilled over open fire and tastes delicious. It may so happen that this wise man stumbled across animal burnt in forest fire and it tasted lovely. 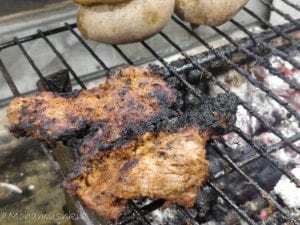 Nobody knows, but it can be estimated that grilling can be called as the mother of cooking methods and it can be traced back to maybe a million years back. 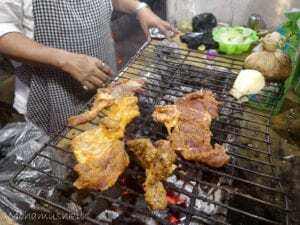 We are not sure whether the night it was discovered, the cave-man or cave-woman had a nice dinner, but what I can definitely say, that getting a proper grilled meat is quite difficult in Kolkata streetfood scenario. 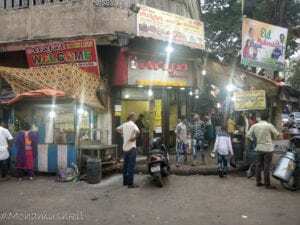 If you come towards Taltala via Rafi Ahmed Kidwai Road, around 200 mtrs after Saldanha crossing, you’ll come across the Marquis Street crossing. And, New Aarafat, on your right, is almost impossible to miss. But, if you happen to go there in the afternoon, I’d suggest not to go to Aarafat first. Just on the footpath in front, light a puff and look around. 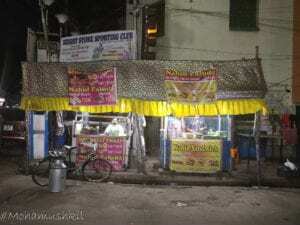 You can find Nahid Sandwich Center on the opposite footpath. 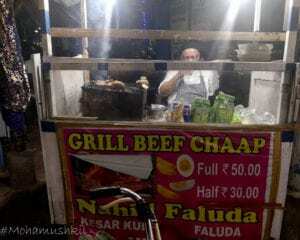 That’s your destination for probably the only grilled beef chaap shop in Kolkata. I am known to talk rubbish to perfectly unknown people. 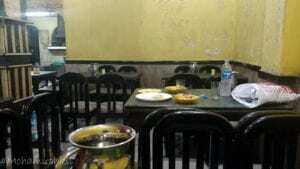 But even upon repeated asking, Nahid miyan didn’t disclose whether he worked in some restaurant earlier (though his way of working around that small kiosk was suggesting that). 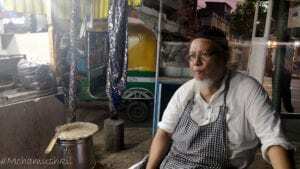 All he told that “Khuda ki doya hai … ” and carried on with his sandwich making process. I should actually thank Ayan Ghosh da for introducing me to this gem during this Ramzan. The first time, I reached around 5 PM and luckily the shop started its operation. The gentleman is fond of old styled cooking method. 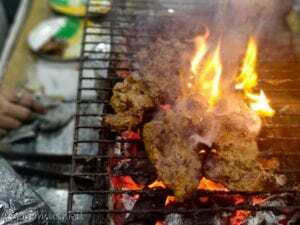 He carries the thinly sliced light marinated beef pieces in a large steel container– lights up the flat charcoal grill and waits for it to reach the perfect temperature. The meat slices are then arranged on it and after a specific interval, turns them around. The juice from inside the meat does the magic and heat from the charcoal below gives it the perfect burnt smoky roast. 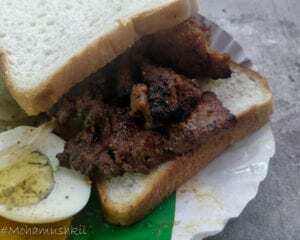 Ayan da actually advised me to enjoy the meat without the bread, but sadly, I am never good at taking suggestions. And, this time, I appreciated my decision. 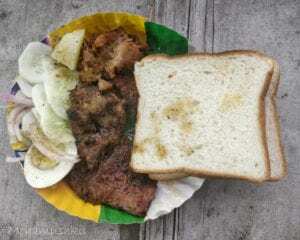 The cold tasteless white bread slice actually complemented the super juicy, slightly chewy meat piece. One or two bite at the egg came as a relief. Salad ??? I prefer to keep my mouth free from bad odor- comes handy at my age. So, now that I was semi-full, I just crossed the road and waited in front of New Aarafat. 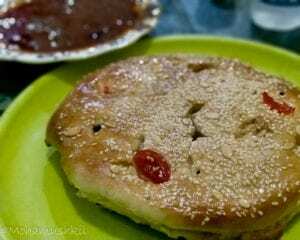 During the evening time for around 15 days after ramzan is over, fresh Bakarkhani breads get themselves prepared for the evening. 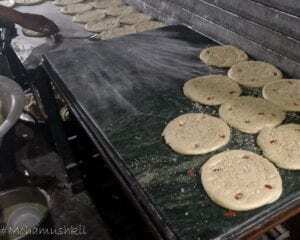 The whole work flow is managed with 3 man-powers, one person is making the dough laccha while preparing the topping , second one is rolling them into circles and then comes the tandoor master. The gentleman is bent forward and was glistening with sweat from tandoor and breads were getting ready in batches of around 20 in numbers. Once I sat inside, came the obvious questioning glance and my obvious counter question- “Kya khilayenge ?? 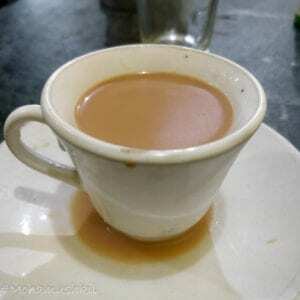 ?” “Bakarkhani ke saath Beef bhuna lijiye, halka gravy mithi roti ke saath jamega” … so be it. 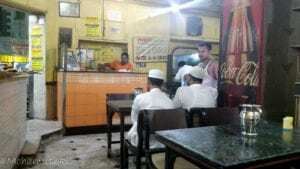 Non-descript interiors, personalized service, super smooth water service- all good signs of the typical old-school muslim joint. 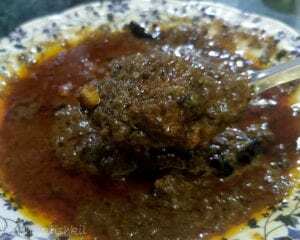 And as luck favored my on that day, I tasted one of the best beef bhuna in Kolkata. The gravy was flavored with cumin and saunf and was not super rich in spices. Meat was soft and tender. Tear off a piece from the sweet bakarkhani, dip it in the gravy and out it inside your mouth- close your eyes and life’s good. I was full, so tasting another dish was not possible. But what the heck ? Few restaurants are there in city, who make one dish- good. I won’t say the bakarkhani was excellent ( the inside was slightly underdone, but crust was perfect), but at 80/- a piece and fresh from tandoor, it’s definitely a try. 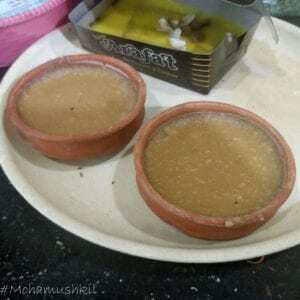 While coming out, I was almost hearing a calling- please don’t laugh- I have a weakness towards Phirni. but it seemed slightly different here. The complexion was dusky and dusky sweet things are my another weakness. A spoonful in my mouth revealed it. Milk is boiled till it reaches a certain full bodied dusky color and then the whole thing is set. Sugar is not used (or in very less quantity, as I was told) and natural sweetness of milk does the trick. 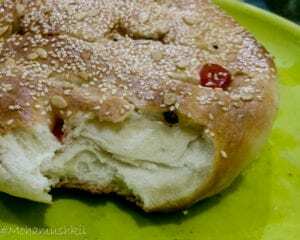 This joint probably makes the best , yes I repeat, the best firni in town. But food is subjective and I prefer to honor it. Overall experience in these two shops was definitely great, especially in the non-descriptive sandwich joint. Nahid miyan will continue even after Ramzan , “Khuda jabtak bolenge, chalayenge …” was his version. And upon prior intimation and advance, he prepares mutton raan – grilled. Definitely something I’m looking forward to. But somehow I feel this area needs a little more scouting and for me, another foodtrail is probably opening up. Wow… Mouth -watering tale, I just read out, ..now preparing for heading towards the target. .